In the first sentence, Bohmian mechanics is promoted as "one interpretation that manages to skip... all the mysterious ideas". This is, of course, rubbish. The thing that Bohmian mechanics skips is that the world is quantum mechanical, not classical. And this "skipping" is a fundamental and lethal flaw, not a virtue, of Bohmian mechanics because it's the quantum mechanical nature of our theories that is absolutely needed to get an agreement between the reality and the experiment. It's been needed for more than 90 years. It's a long enough period of time for people to notice. Moreover, while Bohmian mechanics is a classical theory, it in no way "skips" bizarre features. In particular, Bohmian mechanics has to introduce straight non-local influences – which are really voodoo and have been known to be prohibited by the 1905 theory of relativity. Also, it contains new classical waves that spread and their number and dilution is constantly getting out of control. 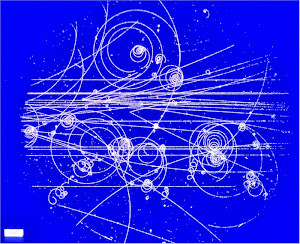 A "janitor" that would clean all this mess – the spreading omnipresent wave functions that are no longer needed for any predictions and won't be observed – would be badly needed. To dive right in, let us note that in addition to the Schrödinger equation, which is shared among all quantum mechanical interpretations, Bohmian mechanics is completed by the specification of actual particle positions, which evolve (in configuration space) according to the guiding equation. This combination elegantly restores determinism into the dynamics of physical reality; accounting for all the phenomena governed by nonrelativistic quantum mechanics—from spectral lines and scattering theory to superconductivity, the quantum hall effect, quantum tunneling, nonlocality, and quantum computing. Bohm’s model has been praised as a cure to the conceptual difficulties that have plagued quantum mechanics because it elegantly does away with much of the subjectivity and vagueness found in the standard approach. Despite this, mainstream physicists haven’t embraced this interpretation, or examined it in depth. In fact, the large majority of them haven’t even heard of it. This is embarrassing, surprising and frustrating. If Bohmian mechanics provides a cure to modern quantum mechanical philosophic complacency, then why have there been so few to study the richness of this elegant formalism? David Bohm was a Jewish Communist ex-American with peculiar beliefs and a cult following. Some ppl claim that Bohmian mechanics is equivalent to quantum mechanics, at least for very simple systems. So you can believe in it if you wish. Where they lose me is when they claim that it is more intuitive, a causal interpretation, and explains the nonlocality of nature. These claims are all absurd. Conventional physics, including quantum mechanics, is local and causal. Believing in Bohm's theory is like ghosts and magic, with electrons have weird nonlocal effects with no causal explanation. Science has always been able to give causal explanations for events. Bohm abandons this for silly philosophical reasons, not because of any observations or weaknesses in theory. QM involves the Fourier theory at its core, and the latter necessarily brings in the premise of instantaneous action at a distance (IAD) i.e. nonlocality. If so, how do you say that QM is local? What are your reasons for saying so? 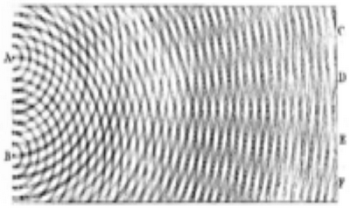 Yes, the Fourier theory implies that the wave function can have an instantaneous action at a distance, but there is no such effect on observables. Any observable cause and effect can be explain by a propagation of fields (or particles) from the cause to the effect. I think that what you say would hold if and only if the observed quantities (causes or effects) were being _continuously_ measured. But in such a case, QM no longer shows its peculiar features anyway; it has already been reduced to the classical mechanics! In the realm where QM does stay operative showing its peculiar QMcal features, there always _is_ IAD to its phenomena (whether there is entanglement or not)---at least in the mainstream QM, that is. Consider the (possibly) simplest example. Suppose there are only two atoms in the entire universe; one in the ground state, another in an excited state. This is the initially given condition. (That is, this state has been _measured_, somehow, to exist as the initial condition.) The excited atom then takes ``down'' a quantum jump. The resulting radiation (i.e. the ``photon'') is absorbed by the other atom existing at a distance, after a _finite_ lapse of time. Since the time interval is finite, you are justified in saying that there is no IAD. But that is really speaking missing the real nature of QM. After all, the moment you say ``measurements'', you are referring to the classical variables (at least in some, implicit, way). To focus on the quantum-ness, we have to look not at the _results_ of two consecutive _measurements_, but what happens _in between_ them. In this case, observe that the entire evolution has happened with that single wavefunction (of this simple universe) which involves all the electrons of the two atoms. Since _every_ evolution of the wavefunction does involve IAD, there _was_ IAD even here---i.e., even if the radiation and absorption events (you may regard them as ``measurements'') were separated in time. I think that's the crux of the issue. It's the measurements that introduce the classicality, including the finite durations. However, the Schrodinger evolution by itself always is instantaneously effective everywhere---it is necessarily nonlocal. You wrote: "Quantum mechanics, is local and causal." Compare this with Niels Bohr's view: "The apparent contradiction (referring to the paper of Einstein, Podolsky, and Rosen) in fact discloses only an essential inadequacy of the customary viewpoint of natural philosophy for a rational account of physical phenomena. Indeed the finite interaction between object and measuring agencies conditioned by the very existence of the quantum of action entails the necessity of the final renunciation of the classical ideal of causality and a radical revision of our attitude towards the problem of physical reality."